Here is a list of pet shops that I know of in and around Quezon City. If anyone knows anymore petshops in the city, please place it in the comments so I can add it to my list. Piy Margal Petshop - The petshop really doesn't have a name, but this is the cheapest pet shop I know. Should be your first stop. Location: Piy Margal St. near Maceda St., Sampaloc Manila. Green yero (corrugated steel) wall with small door. 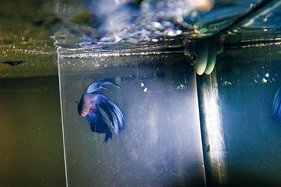 Zealos Petshop - This petshop has the best stock of fishes and other aquarium animals. Has a lot of not so common fishes too. Best place to look if you've tried all the others. Location: Mayon st. cor. N. Roxas., Quezon City. Building in front of Mercury Drugstore. 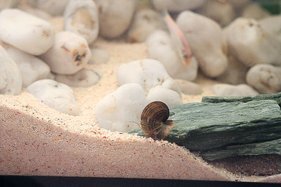 Sam's Lagoon - This petshop has the 2nd best stock in this list. 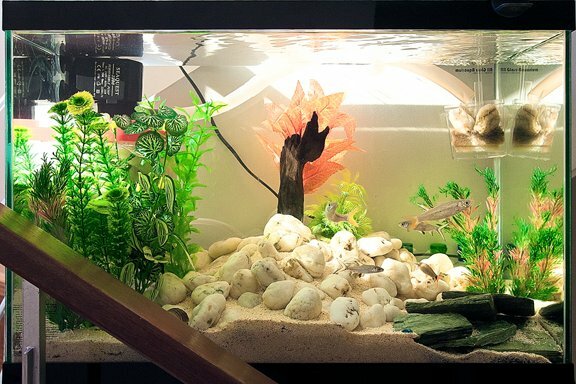 Has a lot of expensive plecos, lobsters and freshwater rays. Location: NS Amoranto st. (formerly Retiro) near cor. Banawe st., Quezon City. Fishy Habit - Just in front of Sam's Lagoon. A bit cheaper than Sam's but not as much variation. Location: In fron of Sam's Lagoon. Heavenly Fish - Has a good stock too. Some of the pets you couldn't find in Sam's, you might find here. I bought my Chinese Soft-shelled turtle and a couple of salamanders here. Location: NS Amoranto St. between Biak na Bato and Sto. Domingo st. Quezon City. Sto. Domingo Petshop - not the real name of the petshop, just doesn't have a name. Location: Sto. Domingo st. near cor. Quezon Ave. In front of Sto Domingo Church. Quezon City. Everybody's Petshop - Real name of the petshop. Typical, sells frozen bloodworms. Location: Panay Ave., right beside National Bookstores/Crossings building in Quezon City. Kamuning Petshop - Another un-named petshop. Just a small petshop, for a quick stock up if you're passing by Kamuning Ave.
San Pedro Petshop - Not the real name, typical, has some flowerhorns. Location: Sct. Ybardolaza St., near Kamuning Rd. Quezon City. Beside the San Pedro Lechon Manok. Under the Sea - Has very few fishes and a bit expensive. More of a dog grooming center but also has a good stock of aquarium decor. 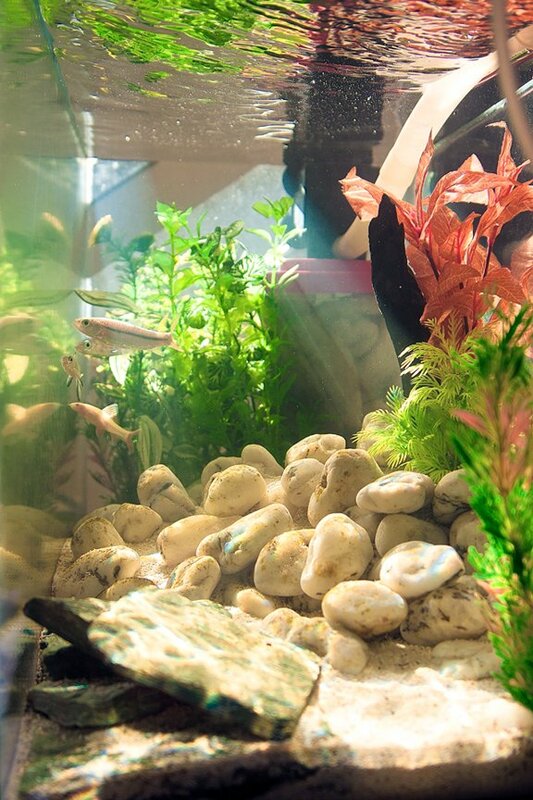 Bio-Research - Good stock of fishes and aquarium pets, decors and accessories. Tetwo Petshop - 1 of 3 petshops along Visayas Ave. Friendly sales personnel, and good prices. They have black sand at P100 for 3 kilos. In-between Petshop - Called it in between because it's in between two petshops and ran by In-betweens, if you know what I'm saying. Location: Visayas Ave., in between the petshop above and the petshop below. Jedi's Petshop - The last of the 3 petshops along Visayas Ave. Totally over-priced, but you can haggle and lower down the prices to normal levels. Make sure you know the real prices of the pets you're buying. They have black sand at P75 per kilo. I'll add more to this list as I discover new petshops or when people posts petshops in the comments section. Luwey May alam kayo ng mura pet groom service along maceda or dapitan?